I recently shared that one of my New Year’s goals is to learn more about Photoshop Elements. 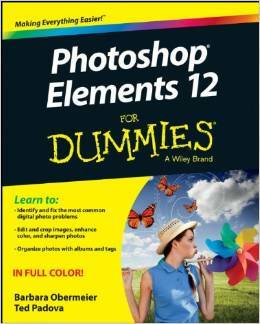 I got a great book at the library called Photoshop Elements 12 for Dummies. It’s a classic. It was written just for me, my name is even in the title! Good for you Valerie! Happy studying! That was neat. You feel as if you are right there as things are happening. Wonderful Christmas. Great job! Its so satisfying to accomplish a goal. I like your slide show.